State Senator Steve Wilson (R-Maineville) presenting arguments on the Senate floor in favor of his legislation to combat elder fraud and exploitation. COLUMBUS- State Senator Steve Wilson (R-Maineville) this week announced the unanimous Senate passage of legislation aimed at combating fraud and financial exploitation of Ohio’s most vulnerable citizens—our seniors. Across the United States, senior citizens lose an estimated $2.9 billion to fraud and financial exploitation each year—with only 44 out of every 1,000 cases being reported to the appropriate authorities. Senate Bill 158 seeks to combat instances of fraud by focusing on three key components: awareness, education and enforcement. Specifically, the legislation requires interagency collaboration to develop best practices and streamline educational opportunities relating to the detection and prevention of fraud and exploitation. The Office of the Attorney General would also be required to distribute no less than six public awareness publications each year in order to improve awareness among the general public and provide basic information on the warning signs of senior fraud. 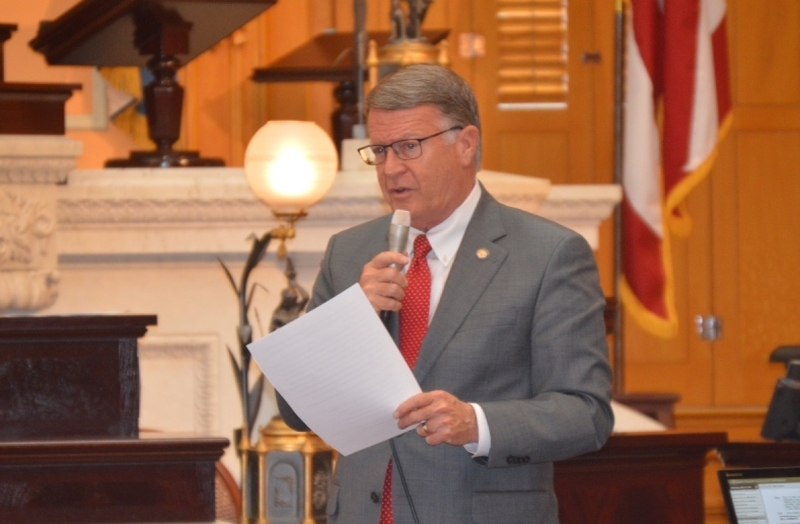 "The Ohio Senate is committed to protecting Ohio's seniors from fraud and abuse, and I commend Senator Wilson for his thoughtful work on this legislation," added Senate President Larry Obhof. Under the bill, an offender convicted of committing certain financial crimes against a senior will be required to pay full restitution to the victim and an additional fine of up to $50,000. All fines collected under the bill will be redirected to the County Department of Job and Family Services to be used for the investigation and reporting of further instances of crimes against seniors, or for the arrangement of protective services. Senate Bill 158 now heads to the House for further consideration. In other news, Senator Wilson this week championed an amendment to House Bill 24 that will keep more money in the pockets of Ohioans with significant health care expenses. The amendment will allow Ohioans to continue to deduct certain health care and medical expenses from their Ohio taxable income. Historically, Ohioans experiencing significant health care expenses have been granted this tax relief. Without the amendment, this deduction would have no longer been offered to taxpayers. The change includes an emergency clause which will allow the deductions to continue for the 2017 tax filing season.